A business that is using advanced technologies to develop new methods of teaching and learning has received £150,000 in equity funding from the Bristol Private Equity Club. SETsquared Bristol member Fluence, which also has offices in the Jewellery Quarter, Birmingham has also appointed Bristol Private Equity Club member Jez Williams as Chairman, giving the business access to his expertise. The business, which was set up in 2016, by David and Jennifer Hore, is working with its first client, Aston University, Birmingham to deliver personalised Artificial Intelligence curriculum planning tools, capable of optimising teaching services and automatically detecting students learning needs and act upon them. 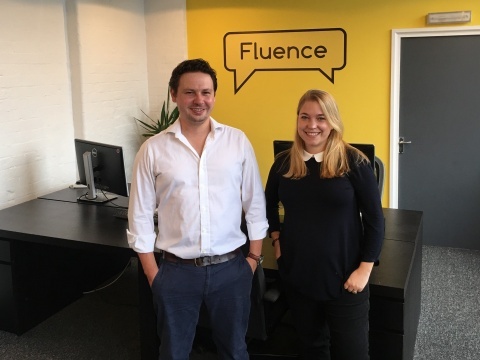 The £150,000 capital injection from Bristol Private Equity Club, as part of a £300,000 funding round, will enable the development programme of the Fluence product, named Priorities, to proceed more rapidly and will help the business expand. “We are leveraging a completely new technology that has never been used in this way before. Priorities helps educators detect the strengths and weaknesses of students and it identifies why someone achieves the grade they did and what can be done to improve their performance, all with minimal human input. Recent issues over the use of data gathered by computers has brought the ethics of using such methods into the spotlight. “We are looking at ways that systems can be used to help people in a very positive, ethical way. We have been impressed at the fantastic, pragmatic way that Bristol Private Equity Club has considered our business. They have a real understanding of the nuances of such a business and what this kind of venture needs. The funding will enable us to take on more people and to get to market much more quickly. “Fluence is exactly the sort of business we like to invest in as our funds can make a real difference at this stage of its development. It is a leading edge business in Artificial Intelligence but with a real practical focus on the products it wants to develop and a clear idea of the market it is aiming for. Launched in 2016, Bristol Private Equity Club now has over 70 members who offer experience as well as capital with the emphasis on backing projects in the Bristol and Bath area.